Last month we reported on the rumours that the Australian federal government was looking to slash as much as A$400 million from the budget for medical research funding over the next three years, and the incredibly well-orchestrated campaign launched by the research fraternity to oppose any such cuts (see Budget Cuts Threaten Australian Medical Research Funding and Update on Campaign Against Medical Research Funding Cuts). The 2011/12 Federal Budget was handed down last night, and we were very pleased to see that the government saw sense in the end, and recognised that it might just as well have cut off its nose to spite its face, as cut spending on medical research. It has been estimated that every dollar spent on medical research returns at least five dollars in national economic development. With a return on investment of that magnitude, we are much better off as a nation borrowing the money to fund research than we would be taking it away to pay off existing debt (which is what the government wants to do, by returning the budget to surplus in 2012). The Discoveries Need Dollars campaign has issued a media release on the budget announcement. For each Bill that is introduced for debate in the Australian Parliament, the Parliamentary Library produces a ‘Bill Digest’, which is a document summarising the background to the proposed legislation, its purpose, structure, and other surrounding issues. Bill digests exist primarily for the benefit of Members of Parliament who need to inform themselves prior to debate and voting in the Chambers. Bills Digests are prepared to support the work of the Australian Parliament. They are produced under time and resource constraints and aim to be available in time for debate in the Chambers. The views expressed in Bills Digests do not reflect an official position of the Australian Parliamentary Library, nor do they constitute professional legal opinion. The Bill Digest is available for download from the Parliamentary Library website (PDF). The Digest attempts to cover all of the major issues, from both sides of the debate, and takes into account the submissions to the Senate Enquiry into the Bill. It is impossible not to notice, however, that in the final summary of arguments ‘for’ and ‘against’ the Bill (on page 27), the counter-arguments are more numerous. Ultimately, of course, it is a matter of ‘weight’ rather than simply ‘numbers’. 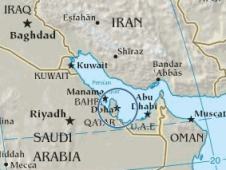 Qatar (QA) became the 143rd PCT Contracting State on 3 May 2011. The PCT will enter into force for that State on 3 August 2011. Further information will be published in the May issue of the PCT Newsletter and in a WIPO Update. So let us all welcome Qatar to the club! In case you are wondering where to go for the reception, we are providing a helpful map. While not really a patent story (although Microsoft obviously owns a lot of patents, and makes regular appearances in litigation) we were interested to see the news of Microsoft’s acquisition of Skype for US$8.5bn. One thing that struck us was the fact that the equivalent Australian dollar figure quoted in the local news was so much lower than the US dollar number – A$7.8bn. We can still recall that only a few years ago the local currency threatened to fall below US$0.50! check out the reaction from the Wall Street Journal blog.